After ten days in Kapolei and two weekends with the HeartGroup there, I’m sitting on a plane, flying back home—unable, once again, to escape my introspections. This time I’m reflecting on the Hawaiians of the Hawaiian Islands, a beautiful culture with rich narratives that I have just been privileged to taste a small part of. I’m also contemplating the Maoris of New Zealand that I had the privileged of briefly learning about this summer while I was in Christchurch. Almost a decade ago now, I remember discovering the warrior people known as the Caribs and the peace-loving Arawaks during the time I spent giving a series of presentations in Trinidad and Tobago. I’m thinking today about American and British colonialism as well as European and American capitalism. My mind then jumps to the Jewish people of the first century under Rome and then further back to the exiled Jews, taken captive and ruled over by the superpowers of their day, such as Babylon and Greece. What about the Hebrews, who served as the sweatshop workers of their day under the Egyptians? Lastly, I think of Abel under the raised fist of Cain. There has always, for as long as anyone can remember, been a top. There has always been a bottom. There has always been a conqueror and a conquered; always an oppressor, always an oppressed. The schools I attended taught me the historical narratives of those who had “won.” But I can’t help thinking that those who are on the bottom, those who have “lost,” have their narratives too. And if the narratives of the Abels, the Josephs, the Jobs, the Hebrews are whispering anything to us, they are calling us softly to listen to the stories of those who have been conquered, those on the bottom, those not in positions of privilege. The resurrection, as God’s response over against the unjust crucifixion of Jesus on a Roman cross, testifies that—although Jesus’ God loved both oppressor and oppressed and was seeking to restore them both—this God seeks to accomplish this “restoration of all things” through standing in solidarity with the oppressed over against the oppression carried out by those in positions of privilege. Yes, the Egyptians had their gods, and so did the Babylonians. And the Greeks had their gods, who would become much more violent versions with different names under Rome. But these were the gods of the conquerors. These were the gods of the people on top. Let me try to make this clear. With the exception of when Israel rebelled by wanting to have a king, the God of the Hebrew narrative is a God not of the superpowers but of the oppressed, the wanderers, the nomads. 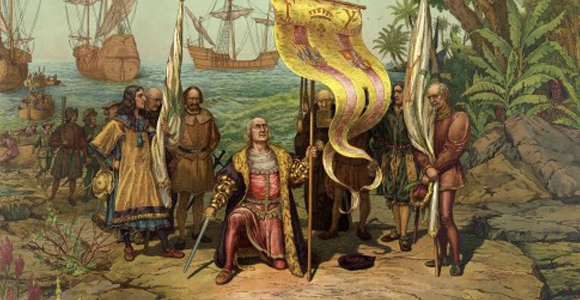 Historically the European conquerors, too, had their god, just as America has hers. But here is the catch, and I don’t know if you even caught the switch. A slight of hand has occurred. In the fourth century, something mysterious took place. But there was nothing truly magical about it. It was a charlatan move, much like the actions of those who stand on stages, waving trick wands and pulling rabbits out of hats. Christianity was subverted by a Roman emperor and wedded to the empire. And I’m not sure we realize what really happened with this. Overnight, the God of the oppressed became the god of the oppressor. The Hebrew narrative of the God who stands in solidarity with those who suffer at the hands of others was subverted. This narrative was now replaced, eclipsed rather, by a god with the same name but of a very different disposition. Now God stood on the side of Rome and conquered, oppressed, and violated through Rome. Think about how those who are oppressed today by the American Empire see America as a “Christian” nation. The lens you use when discussing “God” makes a difference. Are you contemplating God as the one who is standing in solidarity with the oppressors or the oppressed? When you enter into ontological debates about God, are you asking questions about the existence of the god of the conquerors or the God of those being conquered? We don’t want our God to be the God of the conquered. We want a strong God, one who is never defeated! But here is where we often miss the point. The God we find in the Jesus story is a God who stands in solidarity with the losers of the “war games” we humans play. This is a point that many (not all, thank you, Ryan Bell!) of my atheist friends miss. What I’ve encountered, without exception, in every one of my atheist friends is that their atheism is really rooted in a deep concern about matters of justice. Their atheism is simply the expression of a much deeper revolt within themselves against injustice (and the “god” of those who perpetuate injustice). And this must be recognized, acknowledged, and honored! As a Jesus follower myself, I find this hunger and thirst for justice by my atheist friends to actually be in perfect harmony with the ethics I have found taught by the Jesus of the Jesus story (see Matthew 5.6). Yet what many of my atheist friends miss is that most of their arguments against “God” are built on a foundational assumption that the God of the Jesus story is the god of those on top. Dr. Martin Luther King’s “God” and Gandhi’s “God” looked very different from the European-American “Christian” god many of us wrongly believe is really out there. Let me make this clear. I think the atheists are right. The European-American god who stands in solidarity with the superpowers of this planet does not exist. That god is not out there. Saying that doesn’t make me an atheist. I simply agree that the god my friends say isn’t there, really isn’t. It is no wonder that the fruit of the god of the West, the god of the European conquerors, the god of America, given enough time, leaves people hungering and thirsting for justice and wanting nothing to do with god. Let me also say a word about monotheism while I’m here. Monotheism—within the context of Jews, Christians, and Muslims who are endeavoring to conquer others—looks very different when it champions the supreme and only god of the oppressors than when it portrays the one and only God who stands in solidarity with those being oppressed or conquered. Monotheism (and I also have many friends who are not monotheists) can be one of the most destructive “isms” in the hands of those on top. But for monotheism to be properly evaluated as intrinsically harmful or not, we must ask whether we are talking about a monotheism in the hands of the conquerors who say no other god exists but theirs or a monotheism in the hands in those being oppressed, which gives hope to those being oppressed whispering that what the oppressors call their god is really no god at all. This not about theistic debates; it’s about the god/gods the oppressors are claiming is on their side over against the God those who are being oppressed believe is the only true God, who is actually standing with them even in their position of being oppressed. Today it is pointless to argue about the superiority of your religion or “god” over another person’s if both these religions worship the god or gods of the oppressors. This leads me to the inescapable conclusion that the “Christian” god of the conquering West is not the God we find in the Jesus story. The “Christian” god that many of us have worshipped all our lives really doesn’t exist. Again, believing this does not make me an atheist. I simply see a radical difference in the god of the oppressors and the God the Jesus story claimed was really out there and who was actually standing in solidarity with the Abels, the Hebrews, the Jews, the first-century Christians persecuted by both Judaism and Rome, the Anabaptists of the sixteenth century, Hawaiians, Caribs, Arawaks, Maoris (even against the colonial missionaries who carried crosses), native Americans, African Americans, women, the poor, and anyone considered non-normative today. I also want to add one last thing that I think many people miss. Whatever your theistic beliefs are, I as a Jesus follower have to remind myself continually in our work against injustice that I am not striving for a world where room is made at the top of a pyramid of oppression for more people—people who were once oppressed themselves. No, the God of the Jesus story is not asking those at the top to make room for others at the top. This God is calling those at the top to abandon their positions at the top in order to stand in solidarity with and give a voice to those at the bottom. This God is calling for the entire pyramid of oppression to be disassembled one human heart at a time. This God is asking for the entire edifice to come crumbling down as human beings begin to see that there is no “us” and “them”—only us, sitting side by side around a shared table, brothers and sisters once again. For those who are interested, I’ve included a few of my thoughts on Jesus’ Sermon on the Mount this week too. This is the sermon that changed my life. It’s the sermon that I believe has the power to heal the world. At the end of these brief comments I want to try to lay out a project I’m working on. I know that at this stage it is oversimplified and very incomplete. I’m opening a window into my headspace for those who have the courage to take a look inside there. It’s not just our ideas about God that are affected when we see God through the resurrection, standing in solidarity with the oppressed. The gospel, too, is radically impacted. The gospel preached by the oppressors—the powerful, the privileged in European-American colonialism and capitalism—is significantly different from the gospel we find the Jesus of the Jesus story teaching. I’ve included a few blank spaces for you to make your own comparisons. This is a work in progress. In other words, this is not a completed product. It’s not finished. It’s ongoing, and this is a very rough draft. If you have some comparisons that you feel should be added, shoot me an email. I would be most interested in hearing those and possibly adding them to my list. For those who have already been reading long enough, I’ll sign off. Keep living in love and loving like Jesus till the only world that remains is a world where Jesus’ love reigns. I love each of you, and remember that God does too. This kingdom Jesus had come to establish would bless those who were mourning because of the present distribution. The meek were those who had been trampled on by the powerful and privileged in the present distribution. Those who were hungering and thirsting for justice are those who were being oppressed by the powerful and privileged class. The pure in heart are those who do not allow what they’re suffering at the hands of the powerful and privileged to cause them to resort to impure methods of redistribution. The peacemakers are those who participate in Jesus’ nonviolent way of establishing justice once again on earth. Those who stand in solidarity with the oppressed—whether in matters of economics, gender, age (both young and old), race, or orientation—will be persecuted, hated, reviled, and spoken against as evil by the powerful who feel their position of privilege being threatened by Jesus’ kingdom. The prophets have always called for injustice, oppression, and violence on earth to be made right. The gospel is about post-mortem assurance about things like getting to heaven or escaping hell, keeping those who suffer oppression passive looking forward to “bliss” in the afterlife. The gospel is about Jesus’ egalitarian kingdom being restored on earth here and now, healing the world, puting all injustice, oppression, and violence to right (Matthew 6.10). 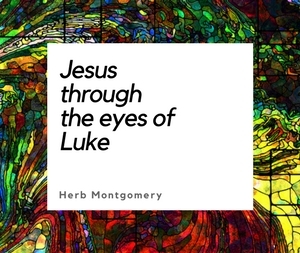 Focuses on proving the historicity of story details within the Jesus story. Focuses on demonstrating the intrinsic value of the ethical teachings of Jesus. Justice is punitive and was satisfied by Jesus on the cross. Justice is restorative and was initiated, begun, started, commenced, instituted, launched, set in motion, established, founded, brought in, ushered in, introduced once again, and inaugurated on earth by Jesus through the power of his death and resurrection over against the powers of injustice, violence, and oppression. Justice is seen as standing in opposition to mercy and love. Justice is the natural expression of mercy and love. Mercy, grace, and forgiveness are things that we receive from God and that give us post-mortem assurance. Mercy, grace, and forgiveness come from God but are what we are called to show our fellow humans who are oppressing us. Eschatological focus on the destruction of the world and being a part of an elite, special, privileged group that escapes. Eschatologically focused on a renewed and restored heaven reunited with a renewed and restored earth. “Fire” is punitive and retributive “Fire” is restorative. Evangelism focuses on the threat of hell, the reward of heaven, and the love of God in saving humanity from God’s imposed punishment. Evangelism focuses on putting on display the beauty of what the world changed by Jesus and his teachings actually looks like, recognizing and honoring this beauty already at work in some, while endeavoring to inspire those in whom this beauty is not present to join the revolution. Focused on enemies getting their due (vengence) Focused on enemies being won and restored along with the restoration of justice to the oppressed. Violence is an acceptable means of maintaining and preserving a position of privilege. Nonviolent direct action rooted in enemy love is the means of saving even our oppressors from systemic injustice. Salvation means being allowed into heaven by ontological certitude (being certain of what exists and is true and what doesn’t and is not). Salvation is seen as the healing and restoration of this world, which all are invited to participate in. Human suffering is a huge philosophical problem for a God who is in control. Human suffering is a tangible and formidable enemy that God is at work bringing to an end. 1. Spend some time this week sitting with Jesus and contemplating the above chart. 2. Journal what Jesus brings to your mind—other passages, questions, stories, thoughts, and insights.